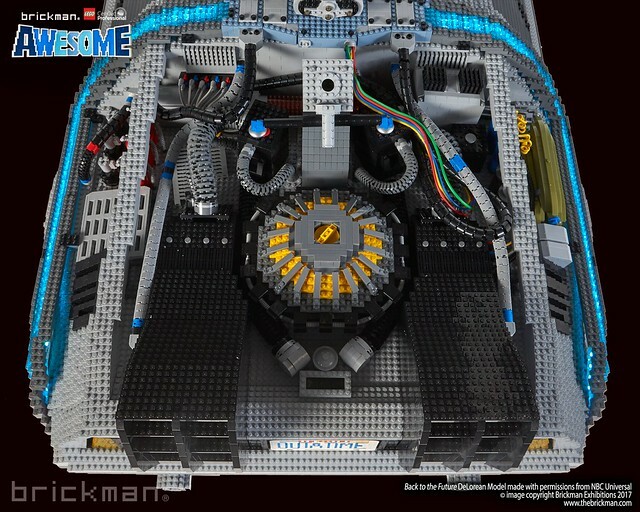 The way I see it, if you’re going to build a time machine, why not make it out of tens of thousands of building blocks? 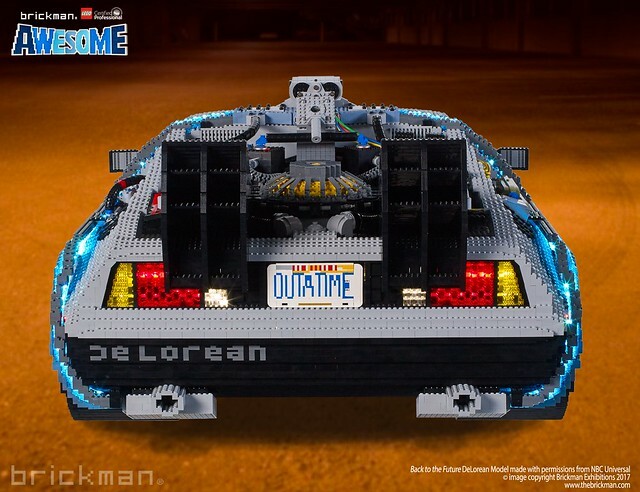 That’s exactly what master builders Russell Søren-Larsen and Ryan “The Brickman” McNaught did when they were got permission from Universal Pictures to create a massive replica of the Back to the Future DeLorean time machine out of thousands of LEGO bricks. 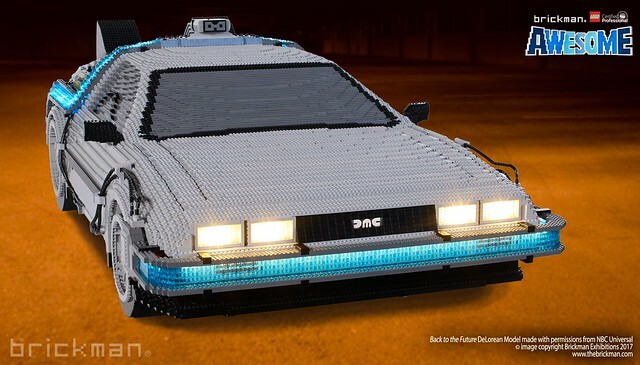 More specifically, this LEGO DeLorean time machine is made up of 65,143 pieces and it took the duo (and a team of five other dedicated builders) 290 hours to put it all together. See their incredible work below. As you can see on the hood, there are a lot of the flat, larger plates used to create the sleek shape of the front of the car. 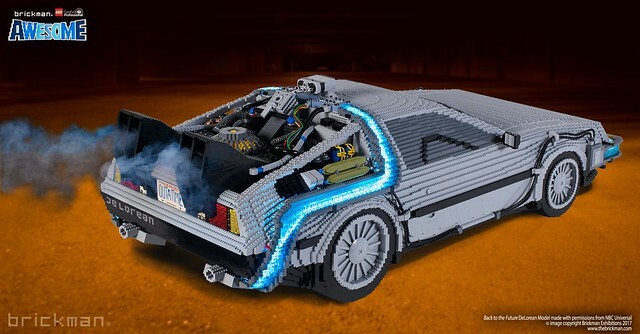 But there are plenty of regular bricks used to, especially when it comes to the intricate details of the back of the car where all the time traveling gear is. The back was also challenging because it needed to have working lights and also the ability to have smoke come out of the vents. Thanks to Laughing Squid for bringing this to our attention.